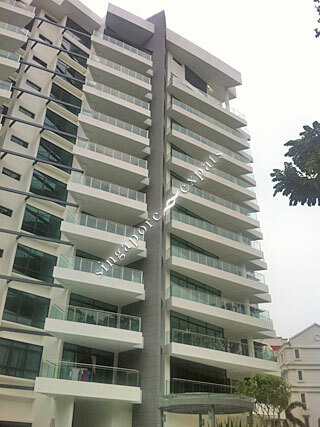 VOLARI is located at 12 BALMORAL ROAD in district 10 (Bukit Timah, Grange, Holland) of Singapore. VOLARI is a Freehold Condo development consisting of 85 units. VOLARI is completed / TOP in 2012 (estimated), developed by CITY DEVELOPMENTS LIMITED. Educational institutions like CHINESE INTERNATIONAL SCHOOL, SAN YU ADVENTIST SCHOOL, ST JOSEPH INSTITUTIONAL INTERNATIONAL, ANGLO-CHINESE SCHOOL (PRIMARY), SINGAPORE CHINESE GIRLS' PRIMARY SCHOOL and ANGLO-CHINESE SCHOOL (JUNIOR) are near to VOLARI. VOLARI is accessible via nearby NEWTON, STEVENS and ORCHARD MRT Stations. Brand new freehold Volari condo at Balmoral. Full facilities, serene and peaceful. Beautiful new development. Great looking facilities, quiet and peaceful. No construction! Beautiful place, quiet, unblocked greenery view. Enjoy the spa pool on the balcony.